In this hub, I will be giving you a detailed description of each laboratory sign or symbol and a photograph so you can easily identify it. Signs around the world may come differently, the signs in this hub are used internationally. 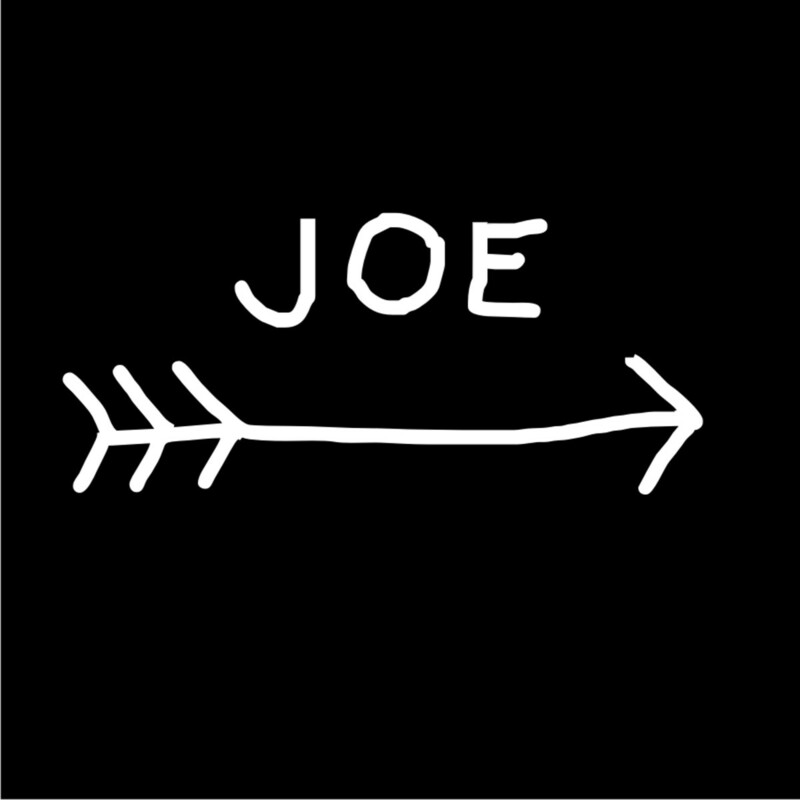 Even if the sign is not exactly like the signs here but has the same symbols imprinted on it, then you can be sure that that is the symbol. The author of this article claims no responsibility to any accidents that happen in the laboratory. Always consult a scientist working in a laboratory when dealing with chemicals. A laboratory is a place where dangerous events can occur, from high voltage stations to biohazards to corrosive substances. Many people are unaware of the dangers lurking in a laboratory! 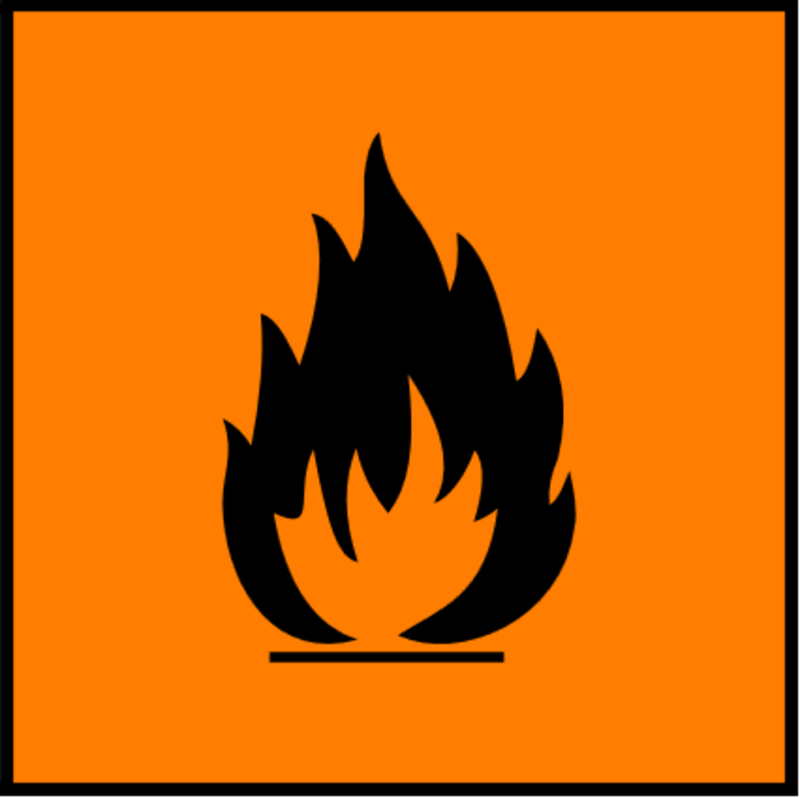 To alert you of hazards such as biohazards and high voltage stations, there are hazard signs placed in laboratories. 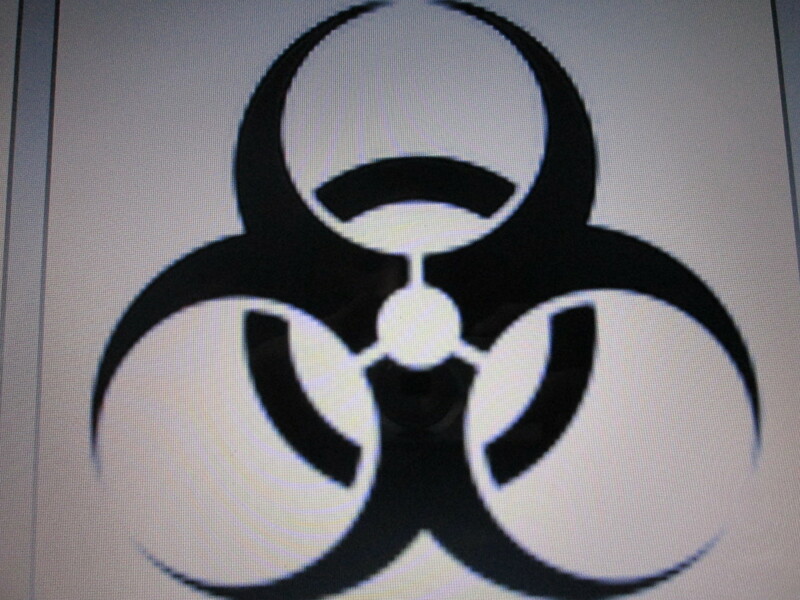 You will very commonly find hazard signs in a laboratory, alerting you to various hazards you are expected to find. However, many people may not be able to identify what these hazard symbols mean. To help you get aware of the various meanings associated with each sign, this guide has been compiled to help you do so. In this guide, there are two sections. One section which we will deal with first, is about signs that you can be expected to find on the walls of a laboratory workplace. The second will deal with signs you can be expected to find on various chemicals and even, household substances. 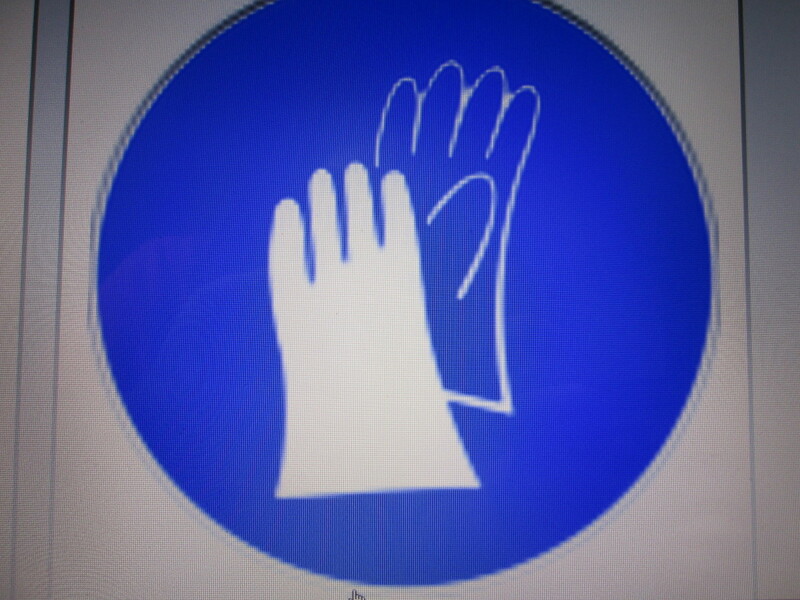 This symbol means that you have to wear gloves in protection from harmful chemicals or other materials. It is recommended to always wear gloves when dealing with caustic substances and other dangerous chemicals. Most hospitals and laboratories have plastic glove dispensers, so wear gloves before you enter a hospital laboratory and other chemical analysis laboratories. To stay safe, you can wear gloves at all times in a laboratory if you wish, to protect you from chemicals. Biohazards are microorganisms which can potentially harm or even kill living organisms. These microorganisms can include viruses, contagious and dangerous bacteria, toxins and harmful microorganisms. You will very commonly find a sign like this in biochemistry laboratories in hospitals as scientists and laboratory technicians working there would have to analyse samples from patients in the hospitals. These samples may contain highly contagious bacteria which may potentially threaten the health of the scientist. If you ever see this sign, always ask a scientist working in the laboratory about such biohazards. It is recommended that you always wear a face mask and anti-bacterial gloves when dealing with such substances. You may also see this sign on the packaging of hypodermic needles, samples and living tissues to be analysed. 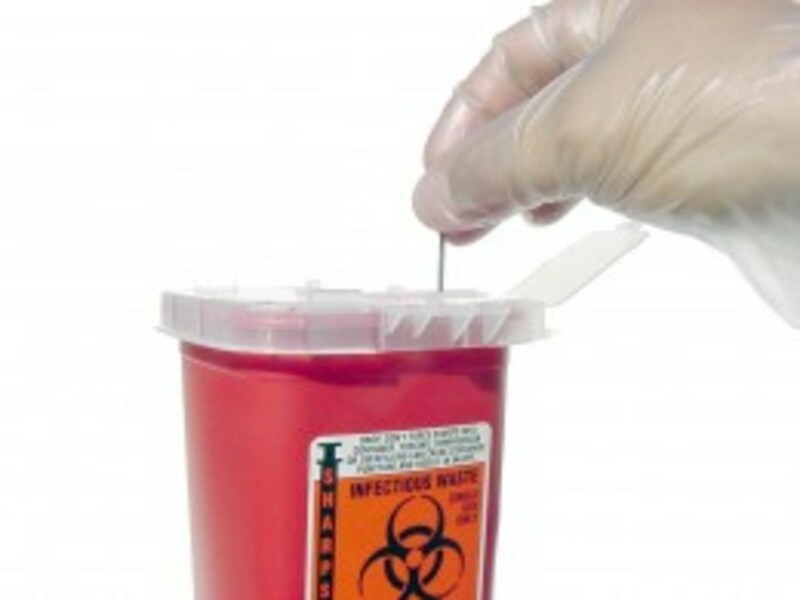 It is common etiquette for scientists to dispose of hypodermic needles in a sharps container. 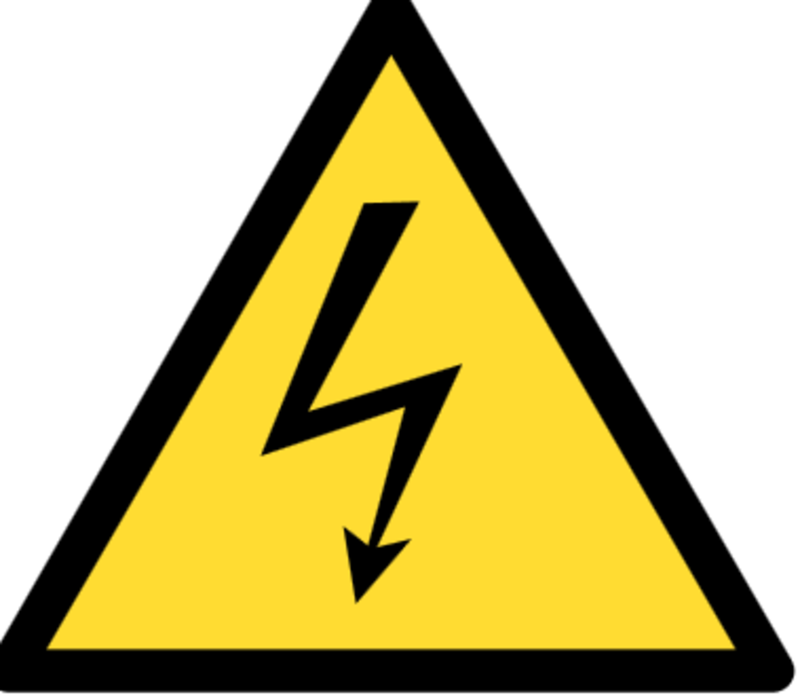 This sign, 'high voltage' means voltage at such a high level that if any living organism comes in contact with the electricity, the electricity will cause harm or even death. This sign is found in industrial sites and perhaps laboratories. Always stay clear of areas marked with this sign as coming in contact with the electricity will mean serious injury or death. Many people ask how many volts 'high voltage' is considered to be. The answer to this question remains debated but in electric power transmission, it is said to be 35,000 volts. The IET say that high voltage is over 1000 volts. In industrial sites, workers protect themselves by wearing plastic gloves and other clothing. Defibrillator can be found here. 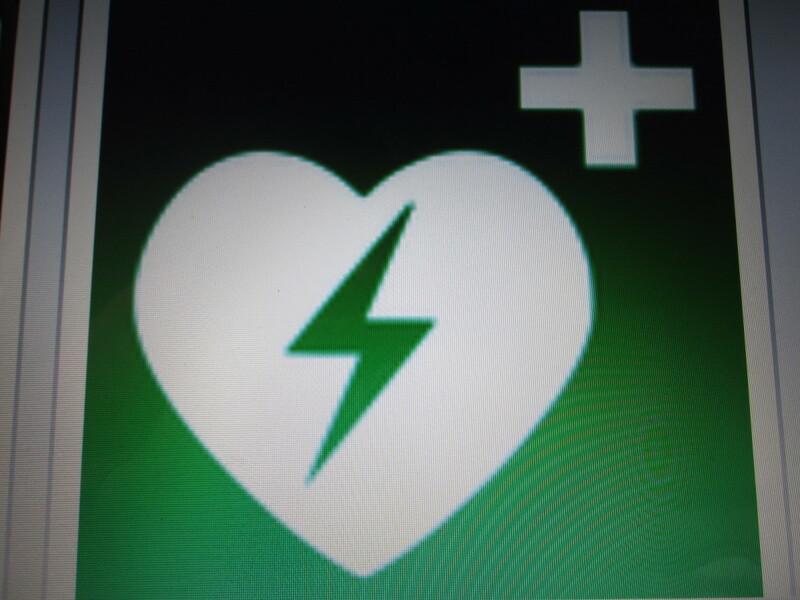 This sign means that you have access to a defibrillator nearby. This can be seen in hospitals, some laboratories and industrial areas. This sign warns you that the equipment and apparatus beside you may be extremely hot and can severely burn you. 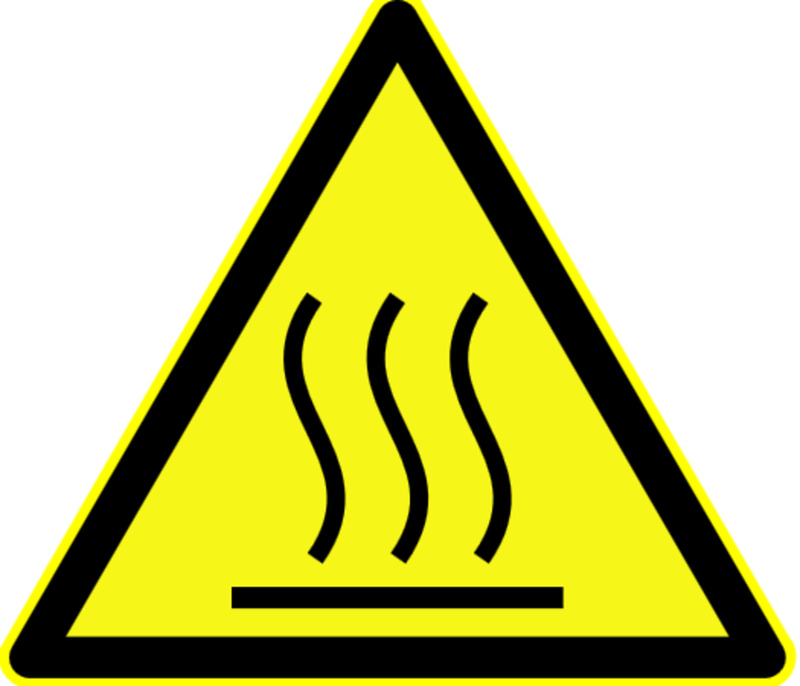 This sign can be found in laboratories with hot plates to industrial areas with hot machines and steam pipes. If you see this sign on a piece of apparatus, do not touch, you will get severely burned! This sign indicates very low temperatures, much lower than freezing point. You may find this sign in chemical storage areas, for storing liquid nitrogen and other chemicals. Do not enter these areas without the supervision of a scientist and without appropriate protection. 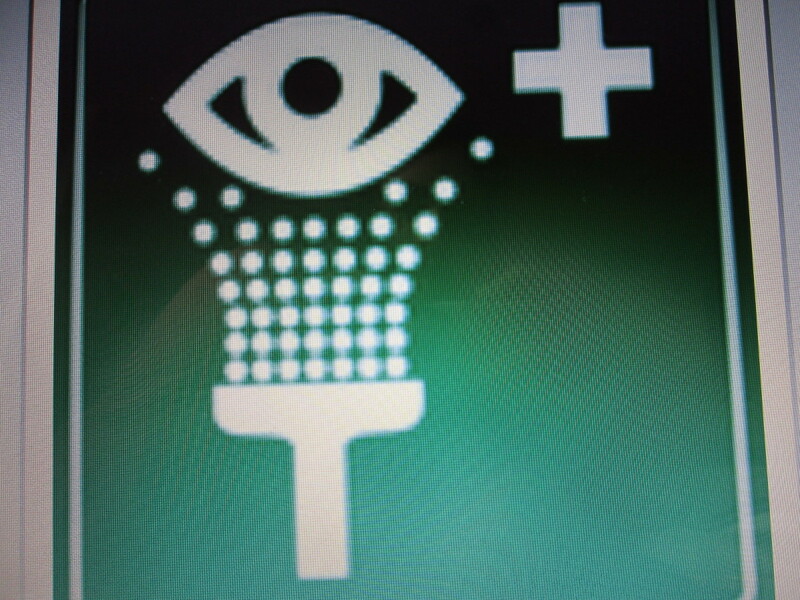 This sign indicates the location of an eye wash station. 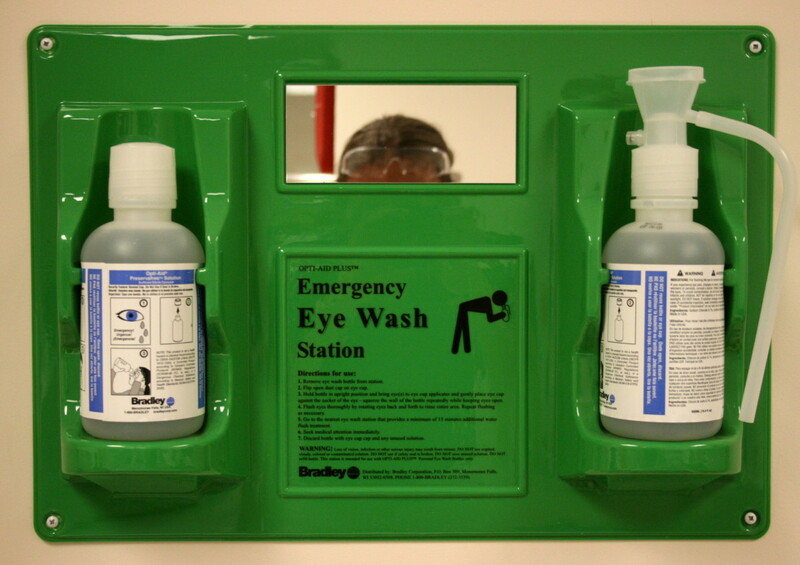 If you accidentally place foreign chemicals or substances into your eyes, always try to locate an eye wash station immediately! Although some eye wash station signs may look different, always try to locate the station if there is no sign. A typical eye wash station looks like the picture on the right, and contains two bottles of eye wash. Eye wash is a fluid which contains saline. Saline aids the rinsing of the eye and provides relief. However, if you do get foreign chemicals in your eyes, always go to your hospital immediately! 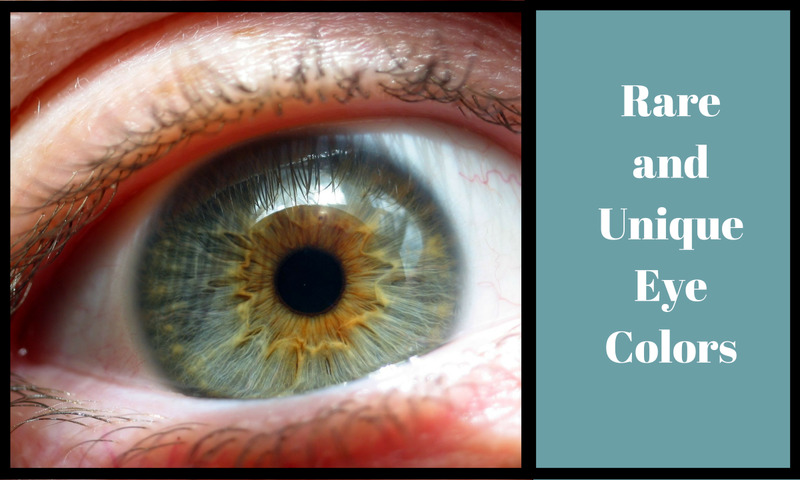 The chemicals that entered your eye could be corrosive and could cause permanent blindness! 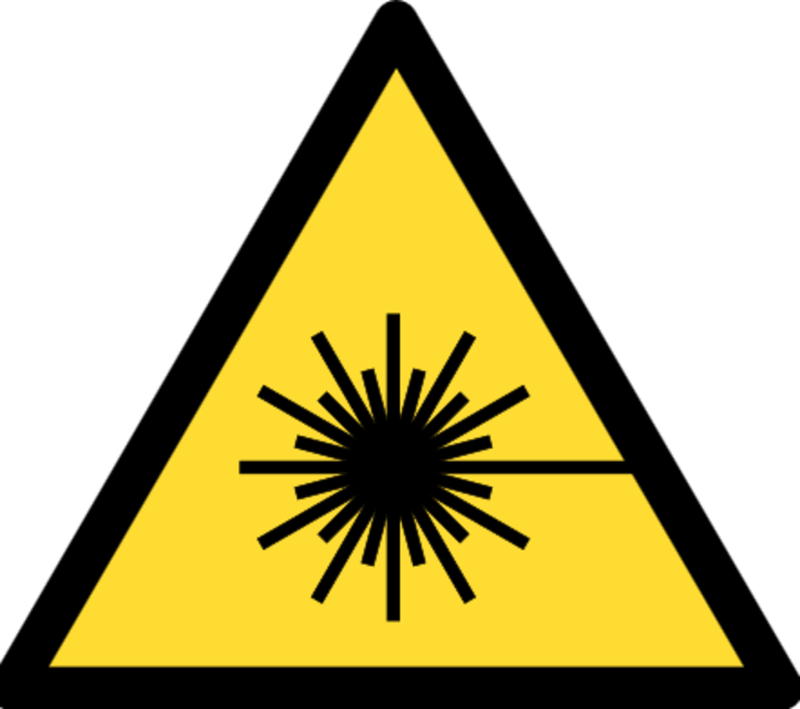 The term 'laser' stands for 'Light Amplification by Stimulated Emission of Radiation. It is usually a direct beam of light in one colour. 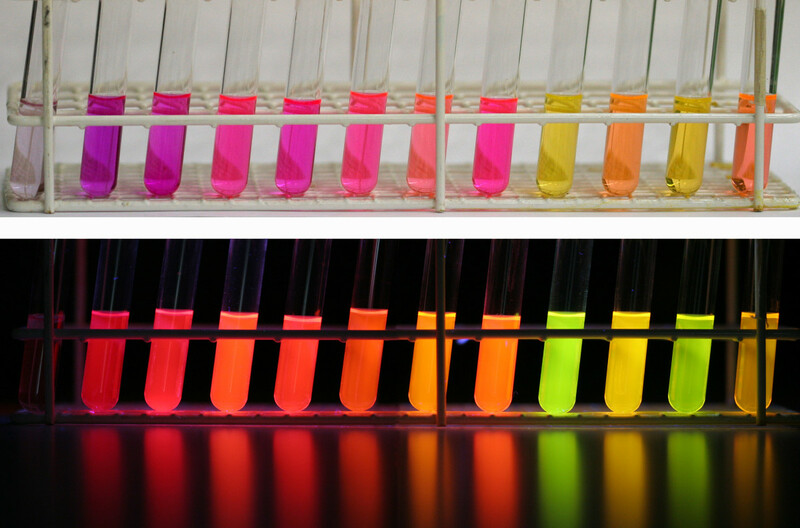 The colour of the laser is determined by its wavelength, the unit being a 'nanometer'. The light can be forced into one narrow beam which has a high radiant power per unit area. Because of this, the laser is very powerful enabling it to cut metal, seal objects and is used in surgical procedures. That is why you will find laser beams in factories, hospitals and surgical theatres. As harmless as a laser may seem, that is not quite the case. Letting your skin to come in direct contact with a laser beam can be very dangerous and can have some disastrous consequences. The eye is the most susceptible and can be damaged the easiest. If you wear no eye protection, looking at a laser beam can cause retinal damage, leading to damage to the eye, which can cause blindness or partial blindness. Always wear appropriate eye wear, always check with the owner of the equipment which eye wear is best. Damage to the skin can also be caused if not protected. Wear protective non-flammable clothing. Laser beams can also cause fire so do not direct at any flammable substances! Recognising hazard laboratory signs in a laboratory is only one part, but recognising hazard signs on chemicals and other substances is another part. Many chemicals in a laboratory are harmful. 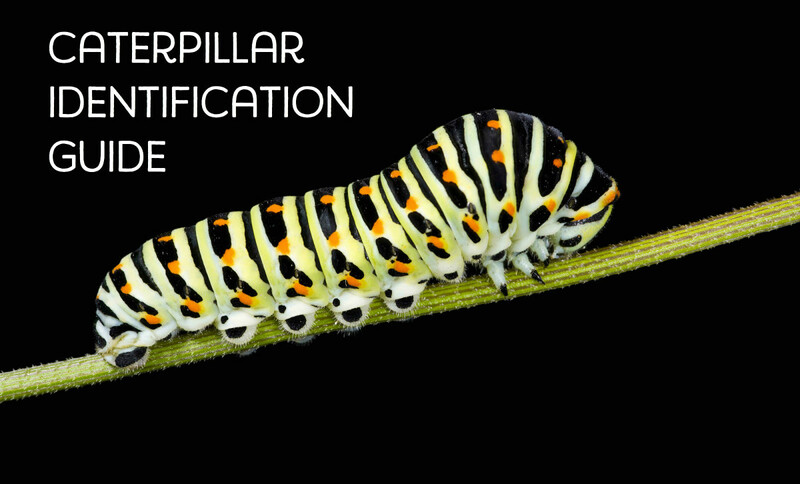 They could irritate your skin, be dangerous to the environment, corrosive or toxic. That is why hazard symbols were invented, to alert you of the various dangers associated with each chemical. 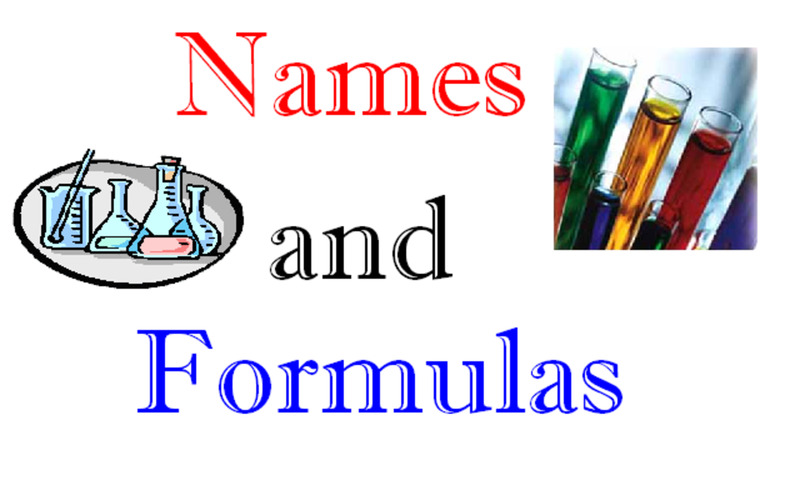 Material Data Safety Sheets can also be obtained about each chemical, but if you want to know quickly which chemicals are harmful and which are not, check the packaging. The signs on the packaging can tell you whether a chemical is irritant or toxic. 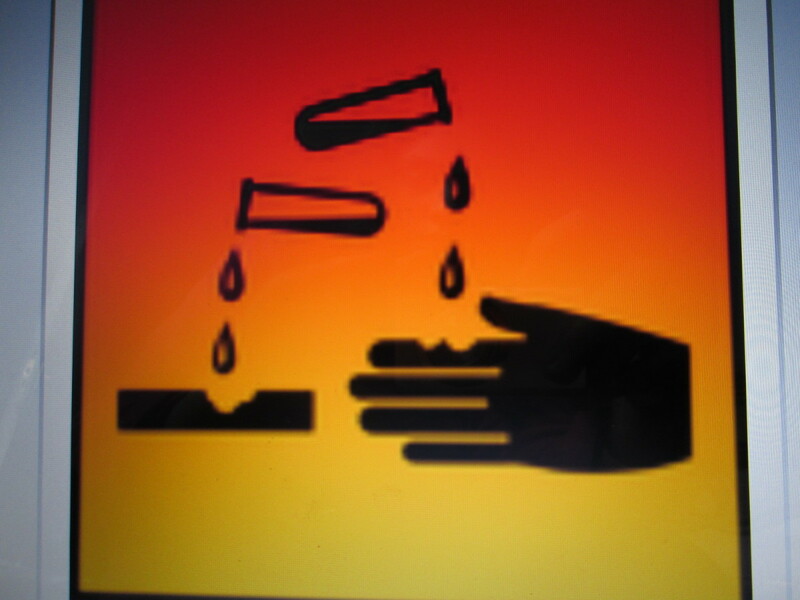 This sign indicates a drop of a corrosive substance falling onto a hand and burning into the hand. The word corrosive comes from the Latin word 'corrodere' meaning to gnaw. Letting a corrosive substance come in direct contact with your skin can cause the substance to eat into your flesh, down to the bone. Not pleasant! Also, if your eyes come in contact with a corrosive material they will be permanently damaged leaving you with blindness. An example of a corrosive substance is caustic soda, which is mainly used in soap and draining sewage areas. 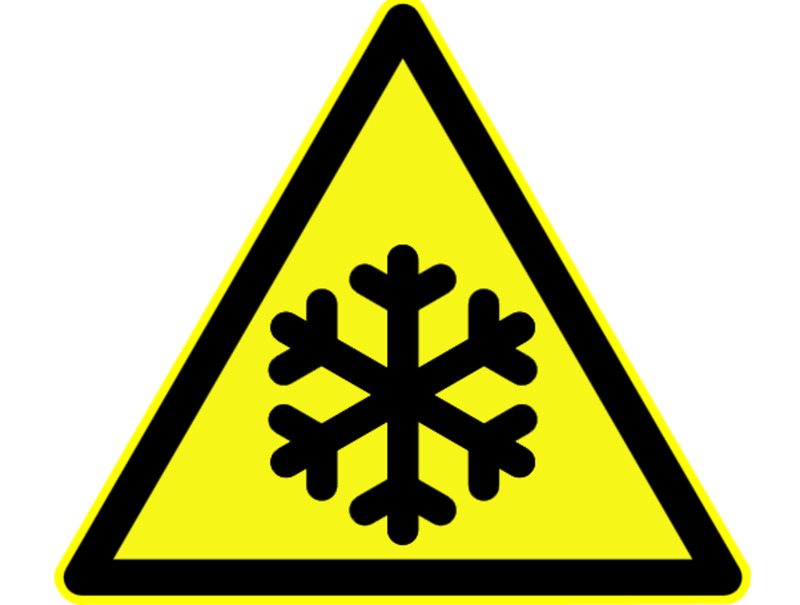 If you see this sign on any chemical, aways handle with extreme care and wear gloves and face protection! This is a substance which may harm or kill natural species living in the environment including aquatic species, trees and plants. 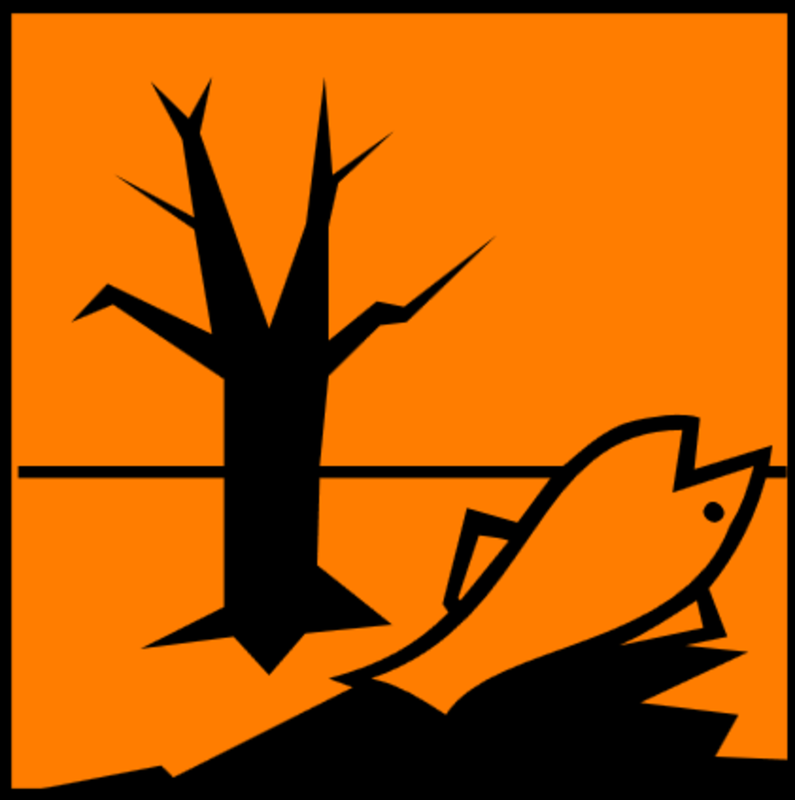 Throwing a substance with this sign into a lake or drainage system is not recommended, it could harm or even kill fish in the lakes, trees and plants or other animals. A substance which is dangerous to the environment is white spirit, which is used to clean paint from objects. 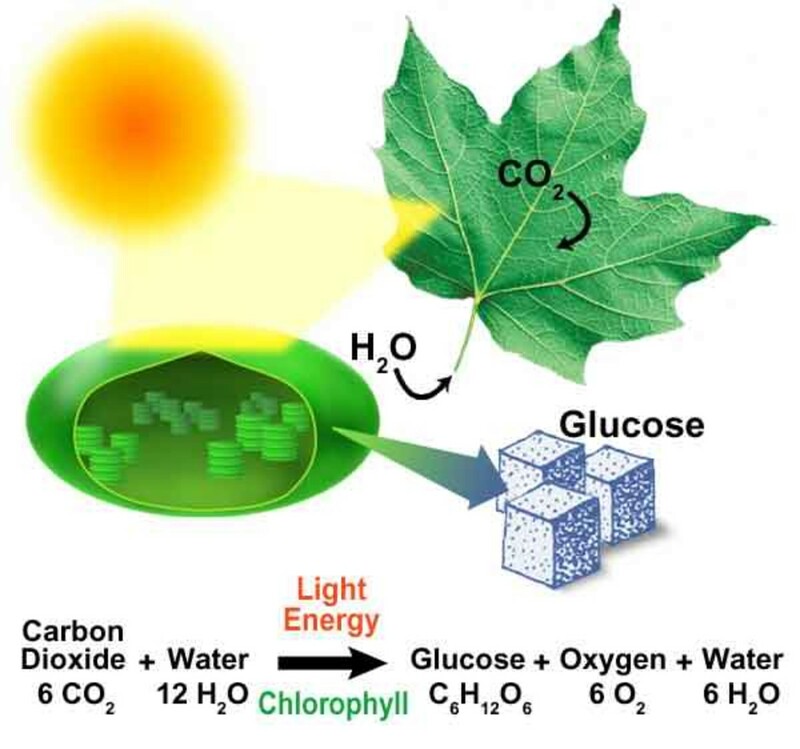 This is a substance which can be ignited easily when they come near a source of fuel and burn very vigorously. Always be careful when handling substances like these! This symbol is denoted by a large black X on an orange background which has an 'I' on the bottom right corner. The word irritant means that it will cause your skin to turn red and may blister. Whilst irritant substances may not cause too much damage, it is still advisable to wear gloves. 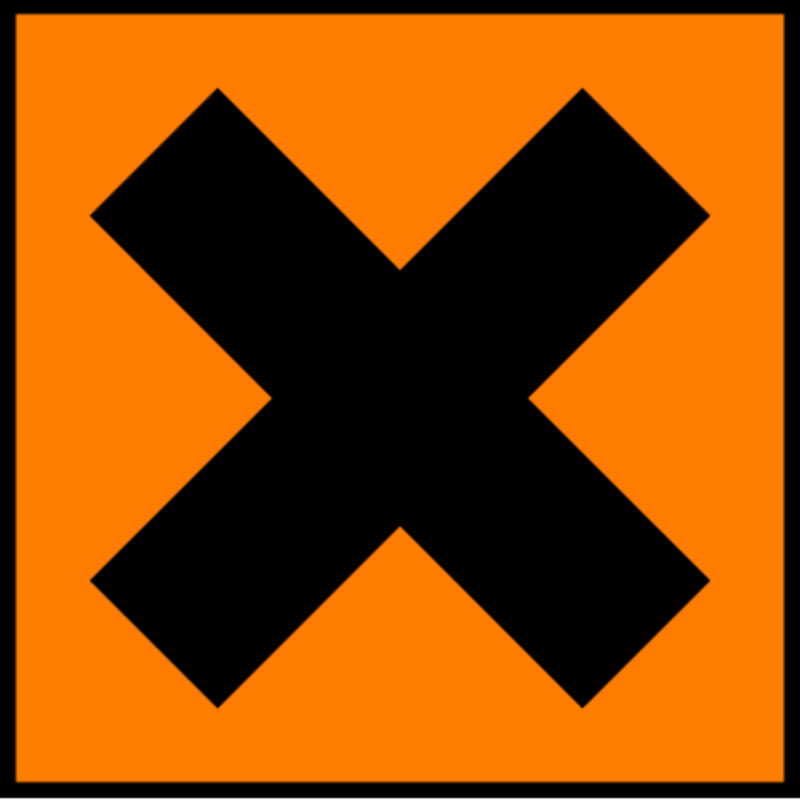 There is another symbol which has a black X on an orange background and has no 'I' in the bottom right corner. This symbol means that the substance is 'harmful'. What do you think of this hub? Excellent, it helped me a lot! Alright, I have read about laboratory signs from better sources. Each sign should be more detailed. Wow. Also save the kids in school. Very helpful btw. That is great, really appreciated, indeed i learn alot. Excellent it was very helpful. And I learnt alot. Thank you. this helps me to get good grades and make my project look neat and nice. THANK YOU ONCE AGAIN!! This is great! dab on them haters! 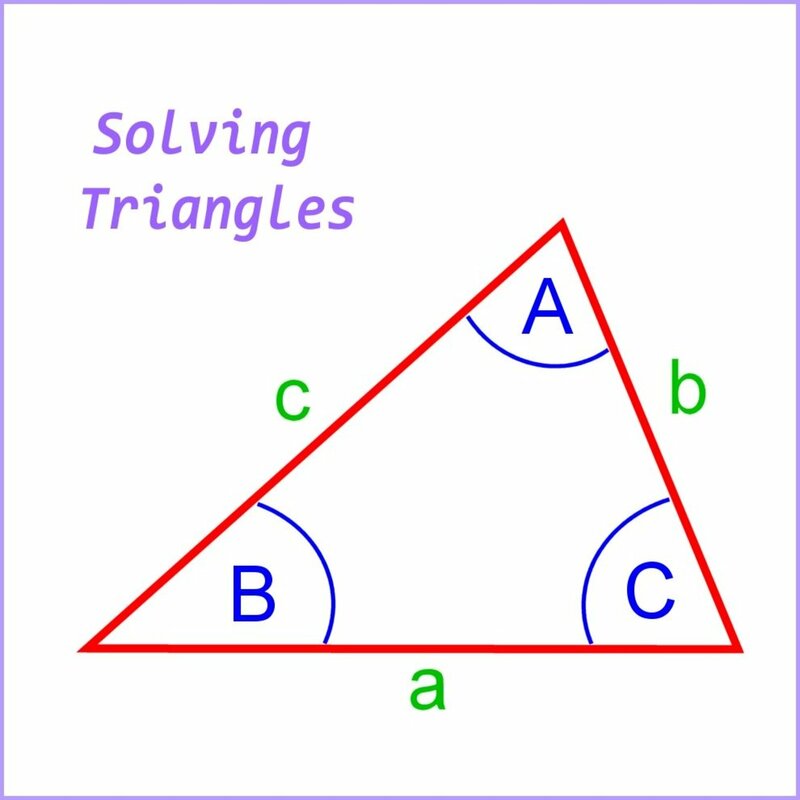 this web site helped me a lot with my assignment. I was actually looking for the radiation sign but this is a very good website for other sign. 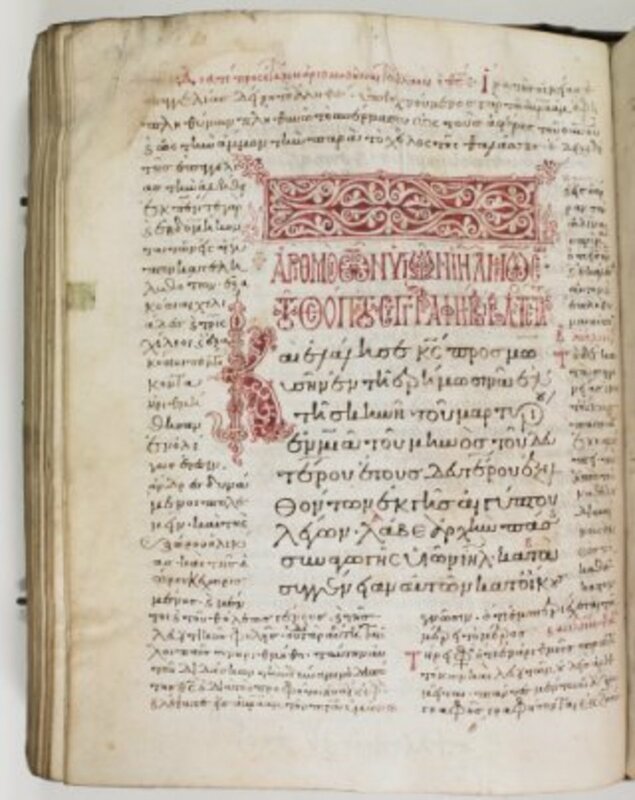 Thank you, for i had to study different symbols and this webpage worked as my last minute helper. This helps so much in my homework! Thank you! Hehe. Thanks for the information. Really helpful. Keep it up. what is the difference between the symbol of irritant and harmful?? It would have been more useful if you write it separately for each departments labs. I am working in a Chemical Laboratory. So I really got the knowledge after read this topic. Good ! but more symbols should be added. I'm so glad to have found this! I am doing research for a design quiz and this helped me so much - there isn't very much comprehensible information about safety signs online WITH information. So THANK YOU! wow it was awesome ,but it need to be more explained and also need more signs because new signs have been brought out. It helped a lot. But it would be better with more signs in it. Thanks a lot it has helped a lot.wow.........it awesome! Melanie - Thanks so much for reading this and the awesome comments. :D I agree, it's really important to know this, whether a scientist or not. There are so many home products that have these signs, and most people don't even look at them! Wow! This is such a helpful hub. I worked as a TA in a lab and have friends that do the same. We have to learn this and the students do too (although they often lack interest.) It's really important stuff! ... thank you for this,. it will help me in the laboratory..
i need the author of this, can you help me? Thank you very much i am a Chemical Lab Analyst it has really made me to understand well the signs and its meaning. Thanks for commenting and giving such positive comments! I am glad you liked this hub! Really appreciative ,thank you so much for your blog. Really helped me. Voted up.